Panthers prefer to travel alone and have territories that range in size from 75 to 200 miles. Young male panthers may be especially active at night, since they may be searching for ranges to call their own. Driving slowly at night through panther habitats will give you more time to react if a panther is on the road. Turn on your high beams when possible to increase your chances of noticing a panther before it’s too late. Young panthers are at the highest risk of being killed by cars, representing nearly 70 percent of all vehicle deaths. Panthers over the age of three are less likely to be hit by a passing vehicle, possibly due to experience or having an established range. Another potential way to reduce the risk of panther deaths is to create designated wildlife crossings along highways and other roads that traverse panther habitats. Designated passages, combined with fencing, can naturally prevent big cats from walking along roads and highways. Several crossings have already been implemented, but many more are needed to cover the broad span of panther ranges. 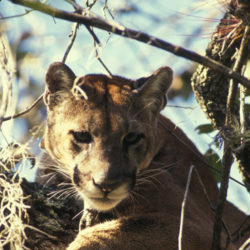 The highest populations of panthers live in the Big Cypress Preserve and the Everglades National Park. Creating additional wildlife refuges throughout Florida will provide panthers with a safe habitat to raise their young and set new territorial boundaries. Wildlife refuges will also provide habitat for other native Florida species. Panthers are primarily active between dusk and dawn, preferring to rest during the day when the sun is at its peak. They live in a variety of habitats ranging from swamps to prairies. 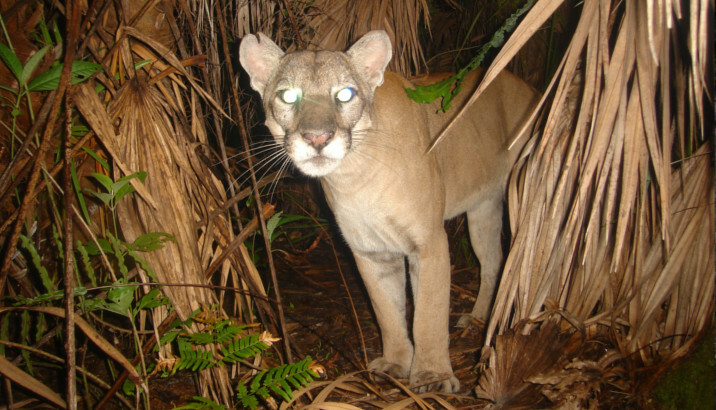 Southwest Florida is especially high in panther activity. If possible, limit your travel through potential panther habitats at night when the big cats are likely to be the most active. You’ll decrease your risk of a collision and can help save these endangered species. 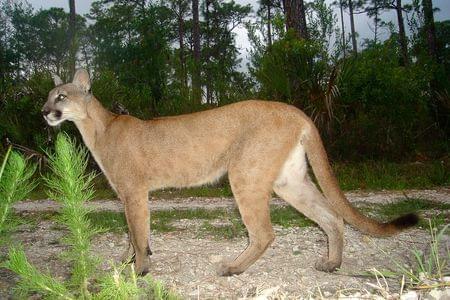 By avoiding panther habitats and driving mindfully, Floridians and visitors alike can help save the lives of the endangered Florida panther.